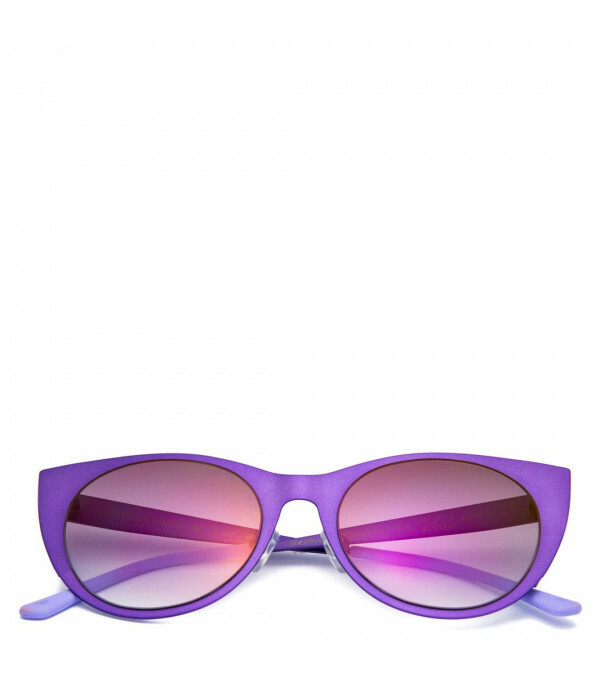 Color: Purple - Description: Purple cat-eye shaped sunglasses, made from steel, with purple mirrored lens. 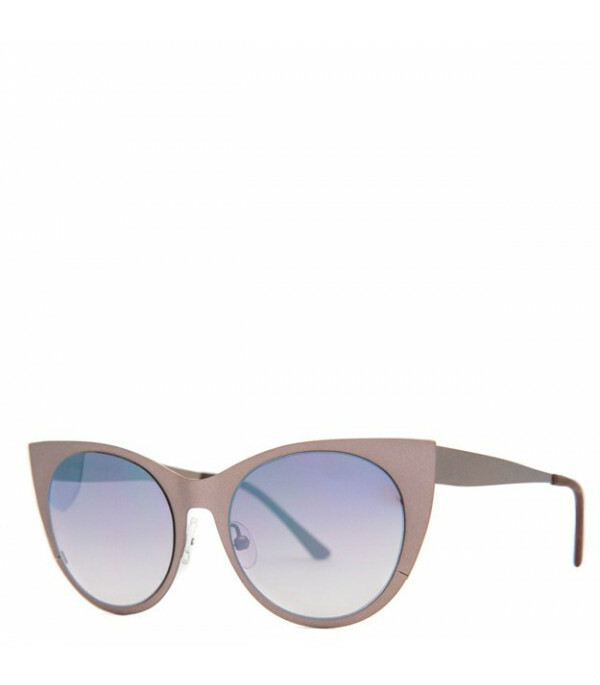 - Details: 100% Steel. 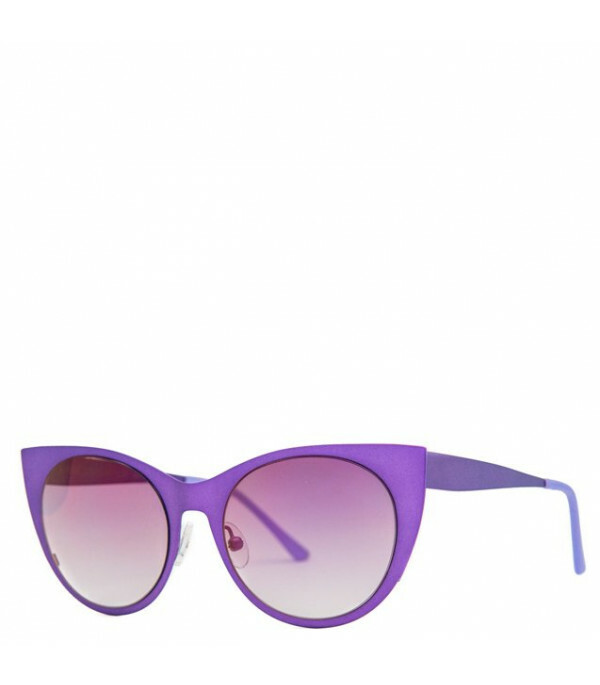 Description: Purple cat-eye shaped sunglasses, made from steel, with purple mirrored lens.